I really like your cheery and pretty card. 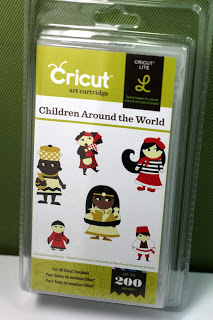 It has lots of fun details and love how you played around with those paints and textured paste. It sure would brighten up any recipient that receives it. 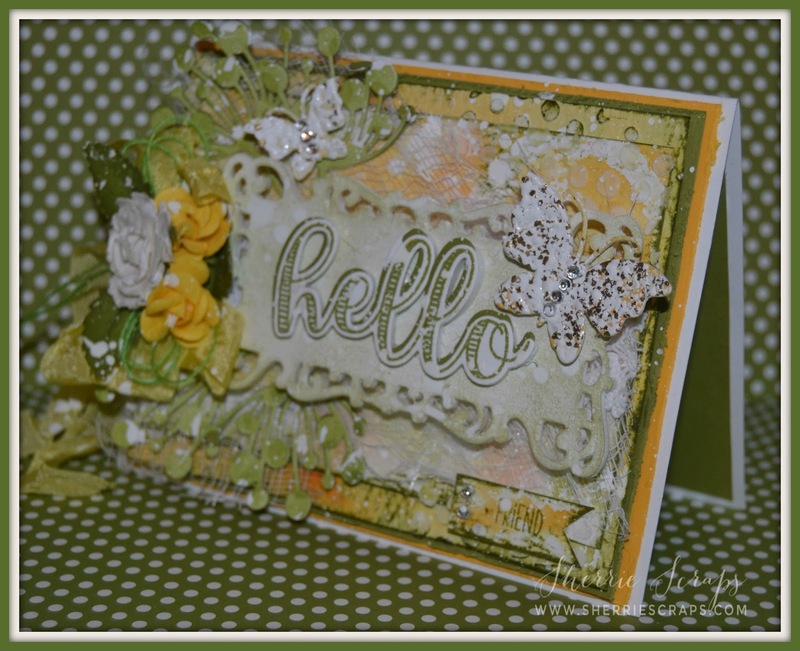 This is such a lovely , cheery and beautiful creation Sherrie ! Wonderful details and design ! WOW!! This is stunning!! Very elegant!! I love the acrylic and splatter texture.Cool detail. The butterflies are just lovely.The flowers and ribbon are beautiful. Wonderful design!! Absolutely beautiful my friend! WOW!! 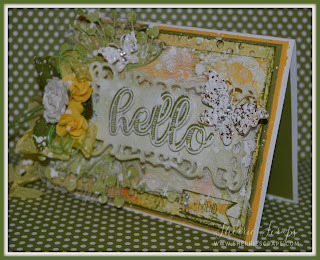 This card is beautiful and elegant Sherrie!!! 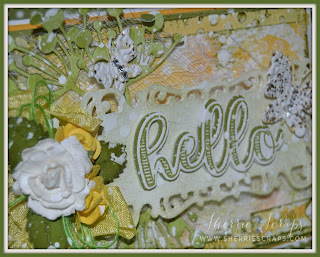 Love the colors, the pretty flowers and the ribbon!!! Have a great day. 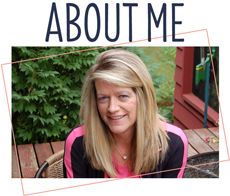 Wow, Sherrie, this is absolutely stunning!! 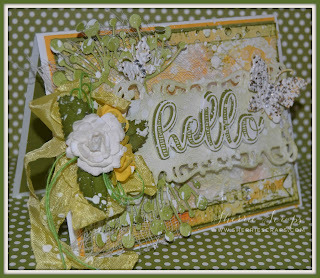 I love the texture and the dimension!! The colors are beautiful!! The details are amazing!! The butterflies are gorgeous!! This is just absolutely spectacular my friend!! I love every detail!! It's a shabby chic mixed-media masterpiece!! 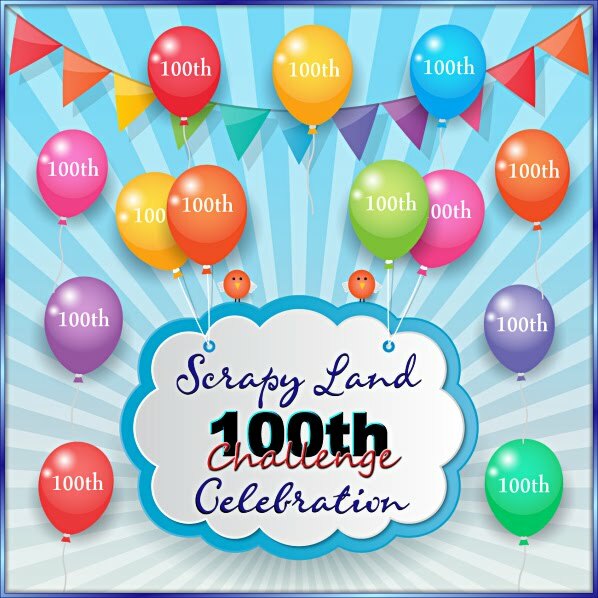 Thank you so much for playing along at Scrapy Land!! So much here to adore! Beautiful! That card is so gorgeous! I love all the dimension you used. Gorgeous card Sherrie! 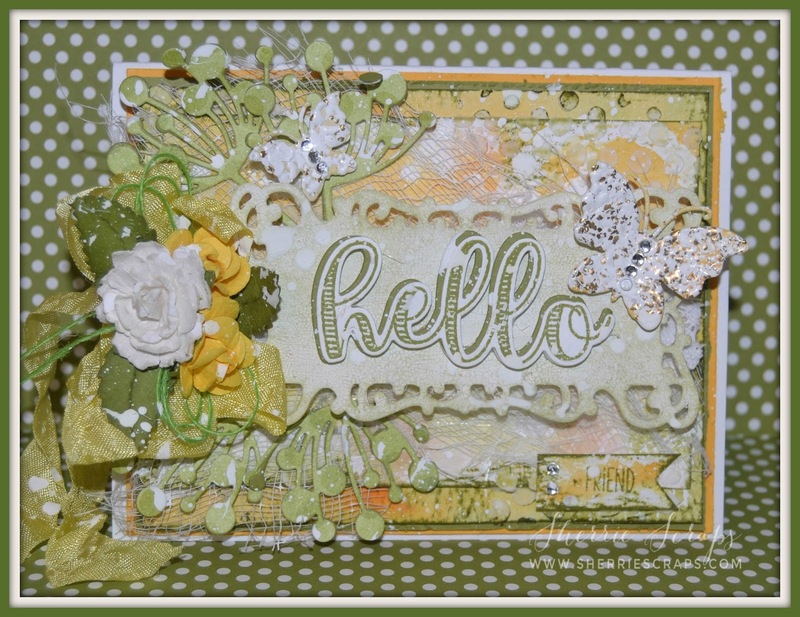 I love all of the layers and texture you added to it! The color combination is so pretty too! Beautiful! I love all the techniques and materials you used. Such a different style I would like to try. Ohhhhhhhhh wow! This is gorgeous! LOVING the colors!!!!!!!!!!!!!!!!! 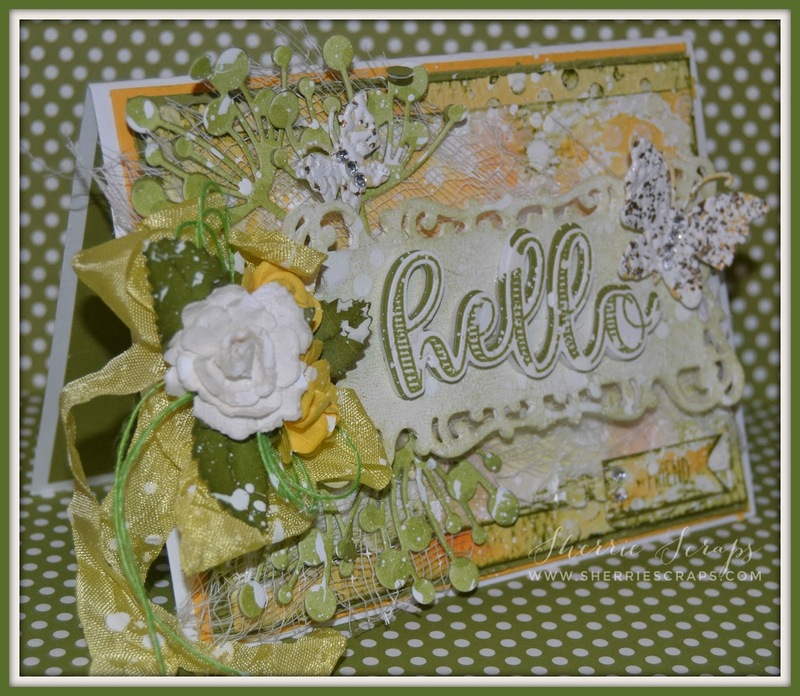 WOW one stunning card Sherrie. Love the colors, layering and the shabby chic look. Love it my friend. Beautiful card!!!!!!!!! 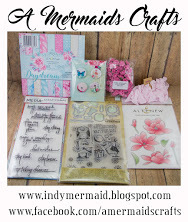 Thank you for joining us at Jo's Scrap Shack. Wow, look at all those layers, and all that amazing detail! This is so fun and so beautiful! Good for you for branching out and trying some new techniques! You are a natural at mixed media! Sherrie, this Is just gorgeous.I Love everything about It. Thanks for Sharing your beautiful creation. Such an amazing card! Love the colors and the delicate look. Thank you for joining the fun at Jo's Scrap Shack this week. So pretty!! Wow all the layers are just beautiful! I really love the colors and the paper you used. Really truly a beautiful card. WOW!!!! This is incredible! Love the colours and texture!! So much detail!! Absolutely stunning!! Oh this is so pretty! I love these sunny colors and I'm so happy to hear that your weather is nice. Our's has been hot up until about 4 days ago and now we have about the same temps as you - HAHA that's just funny huh?